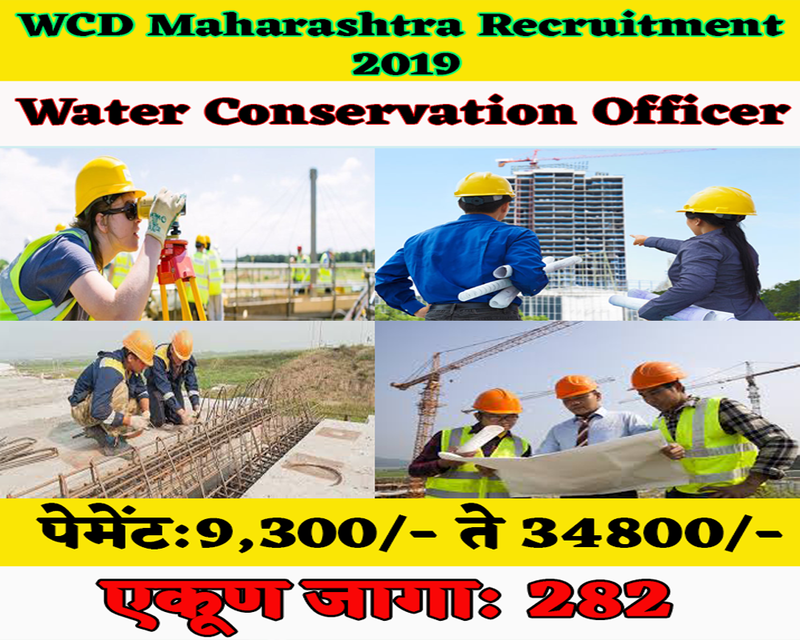 Department of Soil and Water Conservation Aurangabad have published an official notification for recruitment of 282 Water Conservation Officer (Civil) Group B (Non Gazetted) posts. Interested and Eligible candidates who wants to apply for these posts submit their applications on official website of Department of Soil and Water Conservation 26th December 2018 to 15th January 2019. For more details like age limit, salary, how to apply, selection process please refer the below article. Rs. 9,300/- to 34800/- + Gred Pay Rs. 4,300/- payable as a salary. Diploma in civil and rural engineering. Applications will be accepted as per the format attached to the advertisement only. Apply online for WCD Maharashtra Recruitment 2019 on official website of below given link. Online examination will be organized for this post for 200 marks. The final selection of the candidate will be done on the basis of the total marks obtained in the online test. Date of Online Examination will be published on the General Examination Portal. Hall Ticket of the exam will be published on the General Examination Portal.